Christophe Claret | 290'000 € Tax inc.
X-TREM-1 – StingHD : Feel the burn ! Five years after unveiling the X-TREM-1 timepiece, the watchmaker joins forces with StingHD in launching a daring mechanical “memento mori”, issued in an 8-piece limited edition. While technical strength remains a key asset of this timepiece combining an inclined flying tourbillon with a retrograde hours and minutes display system based on magnetic fields, its aesthetic has evolved. 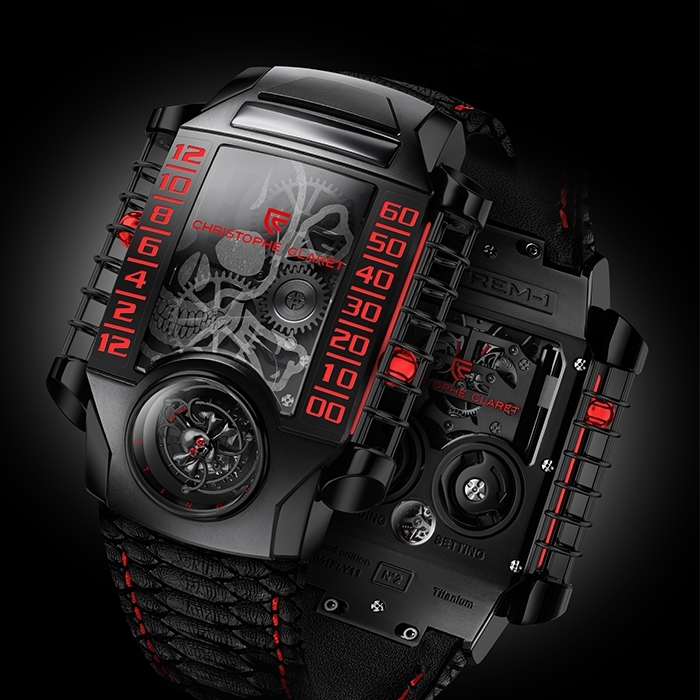 Endowed with a black PVD-treated titanium case, a skull on the tourbillon carriage, and a stingray leather or personalized strap, the new X-TREM-1 – StingHD asserts anti-conformism as a deliberate lifestyle choice. In an additional spirited touch, breathing on the sapphire crystal reveals a skull motif. This somber and radical watch is fatally attractive! The X-TREM-1 – StingHD conveys its rebellious nature through every last detail. 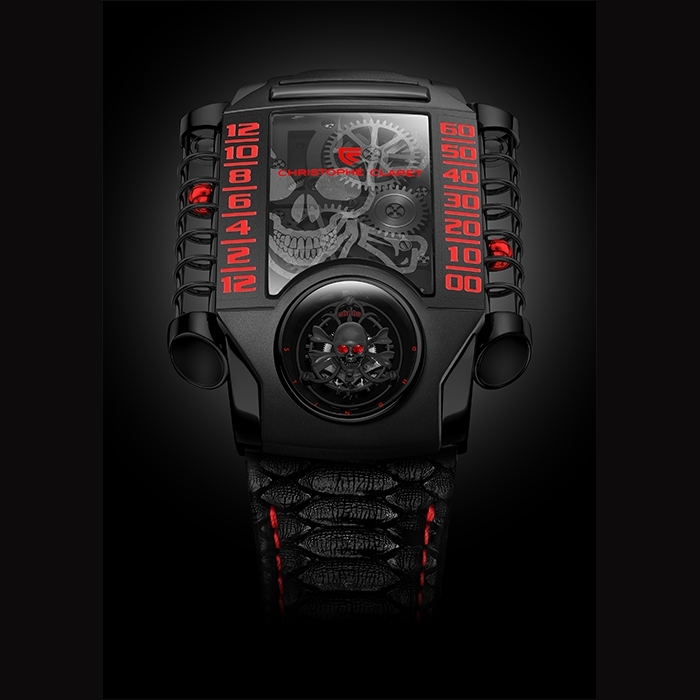 Never one to skimp on daring features, Christophe Claret has endowed the sapphire crystal with a special treatment that reveals a toothy skull when breathed upon. 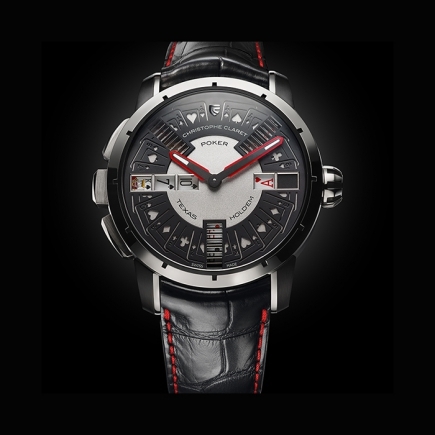 Another element that is bound to delight on-trend bad boys is the fact that the X-TREM-1 – StingHD radiates elegance right through to the manner in which it wraps itself around the wrist. This model comes with two straps designed by StingHD: one in black stingray leather, and the other which can be personalized by its owner. In addition, the presentation box also includes a matching, handcrafted bracelet adorned with a black diamond encrusted skull with ruby eyes. This is an elegant way of reminding the wearer of this watch that time is ticking and that one must remain firmly attached to life. What if there were only a few hours separating the ephemeral from eternity ? The answer will be in the hands of the 8 lucky owners of the X-TREM-1 – StingHD. 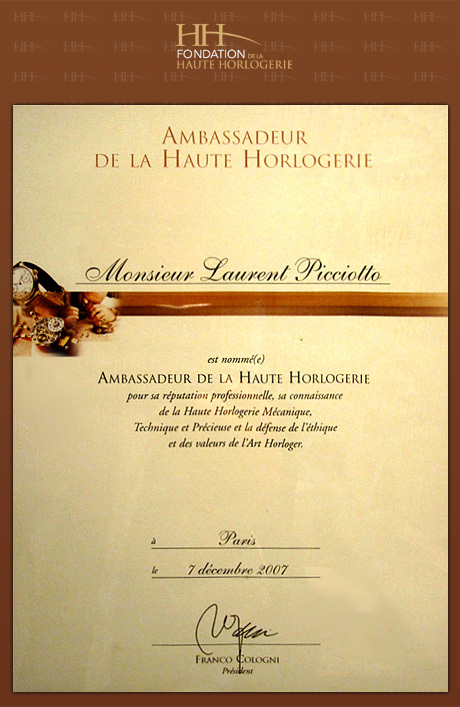 - Mystery hours and minutes displayed with indications provided by hollowed steel spheres moving 23 mm inside two cylindrical sapphire tubes. The metal spheres are driven by magnetic carriages following a thread.